Do Nursing Homes Provide Transportation? Home/Blog/Do Nursing Homes Provide Transportation? While some nursing homes in Florida provide transportation, we are often hired to pick up and drop off patients who live in nursing homes. In many cases, nursing home transportation is limited to special events, day trips, or certain time slots. 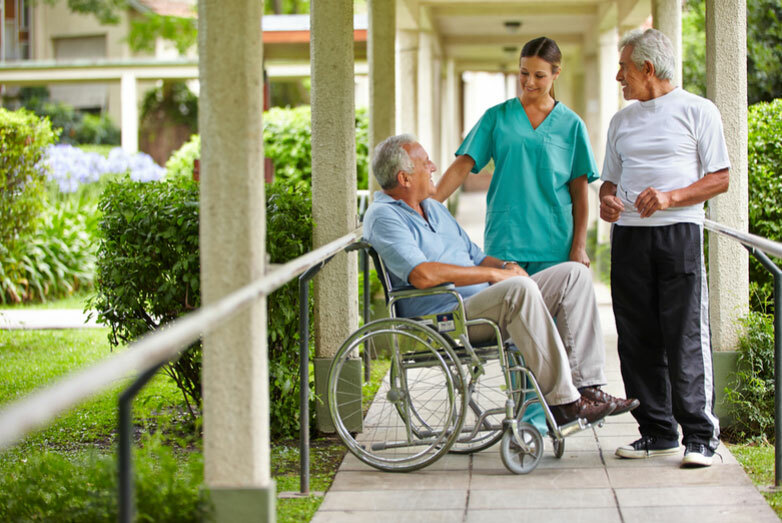 When choosing the right nursing home for your loved one, it’s important to look at all available services, including transportation services. As well as if these transportation services are included in the monthly rate or are available at an additional cost. The vast majority of nursing home patients do not drive. According to a 2010 study released by the CDC National Survey of Residential Care Facilities, only 4% of nursing home residents still drive. That means 96% of residents rely on other forms of transportation to get where they need to be. That’s why many nursing homes offer transportation services. Although, it may be cheaper to hire a non-emergency medical transportation service than it is to utilize provided services if they are not included in regular care costs. Another factor to consider: how far in advance do you need to book transportation through your nursing home? We offer nursing home transportation–get a quote! From a trip to the dentist to a lunch date with pals, we offer non-emergency medical transportation services to and from nursing homes on a regular basis. As a result, we have a proven process in place to keep patients safe, comfortable, and on time. We do more than just pick you up. At your request, we offer door-through-door services. Assisting patients out of the nursing home, into their desired location, and then back into their nursing home residence. Once you are at your intended destination, we provide you with a convenient calling card with a number to call when you are ready for pickup. We will be there within 45 minutes of your call—usually much less time than that. In addition, we offer the option to have the vehicle and driver wait for you on-site the entire time. Interested in regularly scheduling rides? We offer monthly package discounts for frequent riders. Our goal is to help you enjoy a comfortable and safe ride without spending a fortune. That’s why we offer low flat-rates and discounts for our regular patients. What’s Included in the Average Nursing Home Cost? We always recommend that you check with your nursing home first to see what types of transportations services they have in place. If you still need a ride, we are your go-to non-emergency medical transportation service! From rides to church, to rides to the doctor, we are here for the senior community of Melbourne, Florida. By admin| 2018-10-31T22:48:36+00:00 November 26th, 2018|Blog|Comments Off on Do Nursing Homes Provide Transportation?